While the amount of snow that has been occurring in Seattle will seem small compared to what most of the country is experiencing, it is not small to us. When I moved here in 1966, Seattle occasionally had big snow storms, but there have been many years when we had no snow, or almost no snow. The last ten days have been quite an adventure. I have loved the beauty of the snow and the challenges, but I’m quite ready for the snow to go away, at least for now. I have enjoyed writing this followup to my last two snow posts (It Snowed! and It’s Going to Snow Again). I learned a new word! I had written a friend that lives in Bellevue and asked if it was snowing there. She wrote back that it was graupeling. I didn’t have any idea what that word meant so looked it up. Google kept changing the word to grueling. I was persistent and eventually tried graupel. That worked! Graupel is defined as soft hail or soft snow pellets. Later that day, I walked outside and saw many graupels in my yard . I saw something else that made me curious. At first I didn’t know what it was, but soon realized it must be a thick icicle. It was more than an inch in diameter. There were many fallen icicles on the ground nearby. Later that day, it began snowing in earnest. During our first big snow, I stayed inside for days because I was afraid to walk down the front steps. The steps were slippery and they don’t have a railing. This time I realized I could just walk out the basement door. Duhhh. Why didn’t I think of that before? I ventured outside much sooner and more often on these snowy days. I knew that the little Greenbelt trees that were bent over from the weight of the snow would be bent over again so I walked into the Greenbelt from the Hanford Stairs. The weight of the snow on one of the shrubs created a canopied entrance to the site, I felt like I was entering a magical land. I removed the snow from the tree I had freed before. I did the same with five other trees on that outing. In the process, I wondered if I was hurting them by freeing them when I knew they were just going to get buried again. When I got back to my house, I wrote my supervisor at Green Seattle Partnership and asked her what she thought. She told me it would be best to leave them alone. After leaving the Greenbelt, I saw a neighbor who was about to walk down the hill to the store. As we talked, we noticed that people were try drive down 25th Ave S where a tree had fallen across the road the night before. When they turned their cars around, they almost all discovered that they couldn’t get up the S. Hanford hill. Most couldn’t even make the jog in the road at 25th Ave. S and S. Hanford. We guided the motorists to a place where they could park their cars until the roads were drivable for a while. When we stopped doing that, I walked down 25th Ave S and took a photo of the fallen tree. Then I returned home and cleared the snow off of one side of the front steps and off of my car. I tried to clear the front sidewalk too but didn’t get very far with that endeavor; there was ice under the snow that I couldn’t break or get under. At least I started the job. I was impressed that I accomplished as much as I did. And it felt so good to be out of the house. It was beautiful on Sunday morning. At 10 a.m. the sky was blue. Sometime before 2 pm, the sky started to darken. Soon thereafter, it began to snow again. The snow kept falling… and falling. After the snow storm that started on February 3, I didn’t clean the snow off of the car until it had stopped snowing. That was probably on February 6. My car had been parked in the driveway. It took me much longer to be able to drive than the neighbors who had parked on the street. When I did eventually try to get into my car, the front door was frozen shut. During the second series of snowstorms, I decided to park the car on the street and to remove the snow at least once a day. One day, I noticed that brushing the snow off of the car had resulted in a pile of snow around the car that was at times had a height of two-feet. Being hemmed in by snow would would certainly make it difficult to drive. A day later, I noticed that snow was piled tight against the side of the front tire. I sure didn’t want it to freeze there so on Monday, I removed that snow. Soon after finishing that process, I was surprised to see a woman ski down S. Hanford St. Moments later, her husband pulling a child carrier, or whatever that structure is called, turned the corner onto 25th Ave. S. There were two small children in the “vehicle”. While I was talking to the family, I noticed a fire truck had gotten stuck going around the roundabout at the south end of the block. When looked that direction a few minutes later, it was gone. When I checked my email later in the day, I discovered that neighbors had posted photos of “snow art” that they had seen on North Beacon Hill. I was impressed. Seeing those objects made me think of the snow angels I used to make when I was a kid. I kept thinking of them throughout the day. Eventually, I decided I was going to do it! It was a lot easier to lie down than it was to get up. I thought it interesting that the size of the right wing reflects the trouble I am having with my shoulder. I was surprised at how heavy the snow was. It took more effort to move it than I thought it would. On Monday, I cleared the snow off the car . That afternoon, it snowed heavier than any other day. It was so beautiful. But before long, my car was again covered with 4-6 inches of snow! A neighbor came over and let me know that she was going to clear my sidewalk for me. I was excited to have the help. I joined her so we worked on it together. The day before, another neighbor had told me he would help me get my car out of the snow when I was ready to drive. A third neighbor had picked up something for me at Lowe’s after the previous snow storm. My new roommate carried pellet bags into the house for me and one day, she cleaned the snow of of my car after cleaning it off of her own. I’m lucky to have neighbors who will help me when I need it. I need to remember these incidents when I’m feeling alone in the world. I was supposed to teach a class about our forest restoration project to Environmental Science students from Seattle University on Tuesday and on Thursday the students were planning to work on our site. The university was closed on Tuesday so I will be teaching the class on Thursday. That meant I had to cancel the work party. I hope the students will come to a later one. I have enjoyed the beauty of the snow and all of the adventures it has brought my way. I also appreciate that it has given me the opportunity to catch up on so many things on my “to do” list. But as I said at the beginning of this post, I’m ready for this to end; and it looks like it is going to. Hopefully by tomorrow I will be able to drive! It started snowing during the Super Bowl last Sunday and by morning we had six inches of snow. The temperature has been in the 20’s and low 30’s ever since. I live on the side of Beacon Hill so getting off the hill is a problem. The streets and sidewalks were so icy this week, I didn’t drive at all and I rarely left the house. It warmed up to 37 degrees today. By noon, I was able to get my car door open. (I had tried to open it earlier in the day but discovered that it was frozen shut.) We are supposed to have way more snowfall tomorrow and Saturday than we did last weekend, so today was my day to run errands and get ready for the next storm. Thankfully the streets were free of ice and snow so I was able to do what I needed to do. When I returned home, I also spent time walking in the Greenbelt. The snow was almost gone in one section. As I walked in the other areas I saw the weight of the snow had pulled one of the little trees to the ground. The top of it was buried in the snow. When I shook the snow off, the tree popped up. It wasn’t straight but hopefully it will straighten over time. It occurred to me that the same thing may happen tomorrow. I noticed that the tops of two nearby trees were also buried in the snow. I didn’t feel safe walking down the hill to free them, but later I walked up the hill and shook the snow off of them. They also straightened once they were free of the weight. I’ve been worried that the snow will hurt the shrubs that are already leafing. I was relieved to see that this one looks fine. I enjoyed walking through the rest of the site. The trees we planted in November of 2017 grew so much this year. I thought they looked very stately in the snow. I wish I had taken photos of more of them. I’m supposed to teach a class about this restoration project at Seattle University next Tuesday. Then on Thursday, the students from that class are supposed to have an hour long work party at our site. I walked down the stairs to the area where I plan to have them work so I could see what it looks like. The weather forecasts say that it is going to snow on and off all week. I’m preparing as if these two Seattle University events are going to take place but I wonder if that will happen. I am excited about both of them so I hope the weather forecasters are wrong. Anyone is welcome to help with this forest restoration project. For more information write: hanfordstairsgreenbelt@gmail.com. The day after our January 21 work party, I was taking photos of our work and was shocked to see a shovel propped up against the foundation of an old house that is in the middle of the site. I was particularly surprised to see the shovel there because all of the team leaders had been standing close-by that area at the end of the work party. If the shovel was present at that time, one of us would certainly have seen it and put it in the job box where our tools are stored. The fact that the team leader who had gone through the site looking for tools later hadn’t seen it either added to the mystery. Where did it come from? Who had put it there? On January 23, I was shocked to see an un-potted plant sitting on the ledge not far from where the shovel had been. I hadn’t seen it the day before. Had it been sitting there when I found the shovel? I didn’t think so but I will never know. I assumed someone had removed a plant from one of the planting areas. The mystery deepened when I couldn’t find any holes that had missing plants. Inside that foundation is the area we call The Rack Zone. Until the January 21 work party, it had contained drying racks for most of the invasive plants we had cut down or dug out since the project began. During the work party, some of the volunteers had taken apart the drying racks and spread the dried debris. We have planned to plant beautiful shrubs and ground covers in that area at some point in the future. Had this shrub been in one of the racks that had been taken apart? That seemed unlikely, but I called the team leader who had been working on that project. He said, “NO” and that if he had seen it, he would have shown it to me. It occurred to me that since there was no rational explanation for how the shovel and the plant got there, I should look for a non-rational explanation. The thought that came to my mind was that this was to be the first shrub to be planted in The Rack Zone. I walked into The Rack Zone and looked for an area where the new “ground” looked higher than the rest of it. Once I found a suitable place, I pulled back the surface debris that hadn’t fully decomposed to see whether there was composted dirt under it. There was, and it was deep enough to plant the shrub. I made the hole bigger and then inserted the shrub. I also made sure that there were no inter-twined ivy vines that would strangle it as it grew. I needed more dirt to fill in the hole. After thinking about it for a moment, I remembered that I had seen mole mounds nearby. I also remembered a friend once helping me re-frame how I saw the moles in my own yard. She told me that the moles were providing me with free aeration for my soil. I decided to use the dirt from mole mounds for completing the planting process. Another memory resurfaced when I was thinking about moles. Soon after we started this Greenbelt project, the person who was co-leading the project with me at the time, was sitting on the ledge of the foundation. A mole came out of the ground and looked up at her. While the photo below comes from pixabay.com, seeing it reminds me of that incident. That shrub is now securely planted in its new home. It remains to be seen whether or not it is alive. There are no buds on it that look alive, but the branches are not brittle. Even though many of the Greenbelt plants are budding, it is only January. Maybe this is a plant that buds later. If it is living, our first shrub has been planted in The Rack Zone! On January 21, twenty-two eager volunteers met to do forest restoration work in our North Beacon Hill Greenbelt site. Four of the volunteers were veterans of this project and served as team leaders. Most of the other volunteers found out about the work party from Green Seattle Partnership listings; two found out about it from one of the local or regional Amma newsletters. Three children between 6 and 8, a pre-teen (12 years) and a teenager (13 years) participated. This work party was held on the Martin Luther King Jr. National Day of Service. When that holiday was being created his wife, Coretta Scott King, said it should be substantive as well as symbolic. Since his was a life of service, the holiday became a National Day of Service. While I knew of Martin Luther King’s role in civil rights, I didn’t know that he inspired the environmental justice movement, a movement that believes everyone has the right to clean air, water, and soil, as well as a right to live in safe and healthy communities. After receiving an initial orientation, the volunteers divided into four groups. One of the team leaders and three of the other volunteers started the process of taking down the racks in The Rack Zone. When we clear land of blackberry, ivy and bindweed vines, all of the cuttings and root balls are put onto racks so that they don’t touch the ground before they dry out. If the vines touch the ground, they may re-root. I refer to the invasive plants we have cut down or dug out as “debris”. The racks are made from logs and branches. This is a photo of one of the racks we built early on. In most parks, racks are scattered throughout a site, but since we had a house foundation on the property, we decided to put most of the racks there. The concrete slab that was under the foundation would also prevent re-rooting. We named that area The Rack Zone. Our plan was to let all of invasive plant cuttings dry out and decompose. In that way good dirt would build up and we could plant beautiful flowering shrubs in that area. This was what The Rack Zone looked like in July of 2017, several months after we started using it. You can see that under the new cuttings there is a lot of debris that is becoming dry. There are at least two racks in the photo that have been used yet. In January of 2018, we took most of the racks apart but didn’t spread the debris; we just built new racks on top it. During 2018, the new racks became filled and overflowing. We would start the process of taking them down completely at this work party. I thought that would be a long process since what taking them apart the previous year had taken a long time. I thought that these volunteers would disassemble one to three racks during the first portion of the work party. That process would include separating the dried debris from the debris that was still living, taking out any logs or branches that were too big to readily decompose, and spread the debris that was dry. When I checked on the group later, I was astounded by what they had already accomplished. By the end of that segment of the work party, they had finished taking apart all but three of the racks! We still have to figure out what to do with all the branches and logs that were too big to spread in this future planting area. Right now they are stacked on the north and south sides of The Rack Zone. In addition, there was a lot of broken concrete under the racks. Those are stacked on the ledge of the foundation and will also need to be moved to some yet unknown location. Two groups worked in the planting areas, clearing out leaves and wood chips from around each plant. We refer that area as a donut hole. In addition, some members of those groups cleared branches that had fallen onto the paths during the winter winds and/or carried buckets of leaves to the newly cleared areas of The Rack Zone. Once there, they will decompose and become part of the composted soil. The groups cleared the donut holes in most of the site. Each area looked so nice when they finished. Another team leader and a volunteer began to clear an area that was full of blackberry vines and ivy. This is part of what that area looked like by the time the work party ended. The work party had begun at 10 a.m. At 11:30 a.m. we took a short snack break. Before we went back to work, we gathered for a group photo. While we took some serious photos, the one that I loved most was a funny one. The parents with young children planned to go home early, and did. Most of the remaining volunteers moved to the Greenbelt site that is on the north side of the Hanford Stairs; our main site is south of the stairs. I have been eager to start restoration work in that area. This is what that that land looked like in December 2018. This photo was taken after we finished that day. The volunteers had removed a lot of trash and ivy. It always amazes me how much can be accomplished during a three-hour work party. The land always looks substantially different when the volunteers leave, after having given freely of their time and their energy. Together we are helping this part of Seattle’s Greenbelt to once again become a healthy forest. If you live in the Seattle area and would like to help with a future work party, write hanfordstairsgreenbelt@gmail.com. In November of 2017, I took a Wetlands Best Practices workshop that was offered by Green Seattle Partnership and held in Seattle’s Discovery Park. As we were about to leave the park, several shrubs covered in white flowers caught my eye. I asked the instructor about them and learned that they were called Pearly Everlasting. In that moment, I committed to myself to include that plant in my 2018 plant order. When the plants arrived at our forest restoration site in November of 2018, I was surprised by how small they were. In the photo below, there are ten Pearly Everlasting seedlings next to the deck post. The Pearly Everlasting plants I saw in Discovery Park had been used as a border in hopes that they would keep park visitors on a trail rather than walking through vulnerable plants. I decided to try that rationale in our site too. Four of the Pearly Everlasting plants, still in their pots, are in the forefront of the photo below. Most of the Pearly Everlasting plants seemed to wither and dry up soon after we planted them. I wondered if we were going to lose them. I don’t have photos from back then, but this is what they look like now. Two weeks ago, I moved the leaves from around the base of one of the plants and found a few shoots coming out of the ground near it. I looked at the ground around that plant again on January 25th and this is what I saw! I’m excited and eager to see how these shoots/shrubs change day to day, month to month, and year to year. The January issue was published early! To download it, click on the photo. At the Green Seattle Partnership we are thankful everyday for our Forest Stewards. Without this dedicated group of environmental ambassadors, the restoration work necessary to achieve our goals would simply not happen. As 2018 comes to a close we would like to recognize a Forest Steward who goes above and beyond. Since 2016, she and her team have quite literally transformed 9 foot high Himalayan blackberry thickets to a budding forest complete with over 800 native plants. What park do you work at? Cheasty Greenspace on North Beacon Hill. How long have you been involved with Green Seattle and why did you chose the park where you work? This stretch of Seattle’s Greenbelt is behind my house. The land had been overrun by blackberry vines and ivy for about 30-50 years. By 2016, the densely packed blackberry vines were five to nine feet tall on most of the property. One day in August of that year, I decided I wasn’t willing to stand by and watch trees die anymore. I found my shears and started cutting the vines away from the trees. Then I had an idea. I belong to a group known as GreenFriends. Some of the GreenFriends members in our area agreed to take on this endeavor as one of their projects. Soon thereafter, we started working with the Green Seattle Partnership. What keeps you volunteering with the Green Seattle Partnership? I love the work. I love watching the land transform in front of my eyes. I love working with the Green Seattle Partnership staff. I love working with the volunteers. I love serving Mother Nature. I am so grateful for all the help I receive from Green Seattle Partnership. The Partnership provides classes and supervision that is invaluable. They also provide us with the supplies we use and the trees, shrubs and ground covers we plant. Do you have a favorite memory from your involvement? I remember a time when I was cutting through a mass of blackberry vines and saw what looked like a small section of a concrete block. Over the next few weeks, I saw more glimpses of concrete. I remember thinking the block was at least eight feet long. What could it be? How did it get here? In March 2017, Seattle Parks Department staff cut down blackberry canes throughout the site. It was at that time, we discovered that the concrete was part of the slab foundation of a house. We think it might have burned down in the 1950’s. We turned that foundation into a place we call “The Rack Zone.” The rack zone contains the racks where we dry most of the invasive debris we have removed from the site. What is something funny or unusual that has happened at an event/while volunteering? It may seem strange, but I am fascinated by the trash we have found during work parties. We have removed around a hundred golf balls, four golf clubs, stuffed animals, and much, much more. 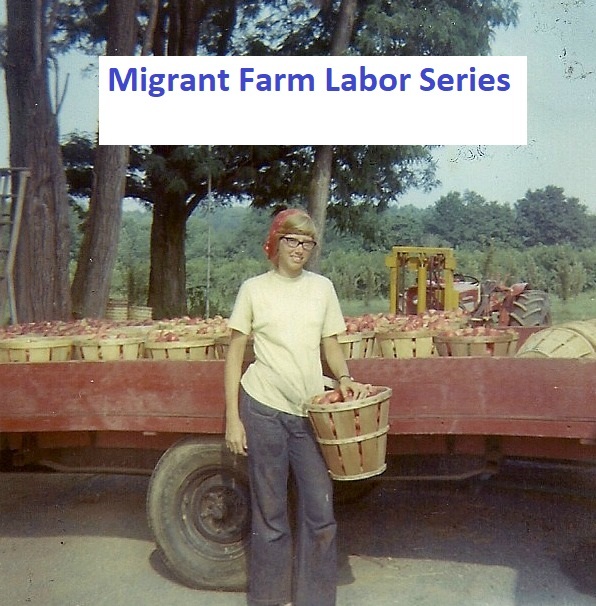 My favorite items have been toy dinosaurs, a plumber’s tool kit from the 50’s, metal handcuffs and a gold bracelet studded with 27 “diamonds.” I found the bracelet, about six inches underground, when I was digging out a blackberry root ball. I assumed it was costume jewelry but as days went by, I kept thinking, “What if it isn’t?” I took it to a jeweler who, after looking at it under a microscope, determined that it was “fun jewelry”. What part of the work makes you feel that you are making a difference in your community through forest restoration? During the last 27 months we’ve replaced invasive plants with 88 trees and 750 shrubs and ground covers. There is no question that we are making a difference in our community as we restore this part of the Greenbelt to a place that provides shelter and food for wildlife, enhances air quality, and provides beauty and tranquility for humans and other living beings. Is there a specific time when you looked at your restoration and felt like you were finally making progress? If so, tell us about it. If you haven’t had that moment yet, what do you think will make you feel like you are finally making progress on the ground? Soon after I started the project, I realized that it would become much bigger than the area behind my house. Still, I was stunned and overwhelmed when the Seattle Parks Department staff cut down the invasive vines on most of the site. How in the world would we manage this huge amount of work with such a small number of volunteers? After a sleepless night, it occurred to me that it was a good opportunity to practice staying in the moment by focusing on one task at a time. That day, I decided to clear blackberries and weeds from one small area. Three hours later, I was amazed by how much I had accomplished. Suddenly, the project seemed doable. We would do it one step at a time. If you were plant species found at your restoration site (native or non-native) which would it be and why? I don’t have a clue how I am like Roemer’s fescue but I do know that the plant fascinates me! If you aren’t working in the park where would we most likely find you and what would you be doing? We’ve offered around 40 work parties since we started this project. Some events have had three volunteers, our biggest had 47. I appreciate Shirley Rutherford, Claire Oravec, Haley Rutherford, and the other volunteers who have served as team leaders during our events. 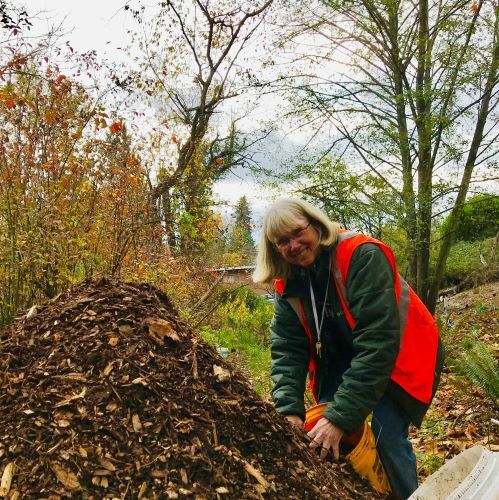 I appreciate Susan Zeaman, a Forest Steward from another Cheasty Greenspace park, who has been a mentor to me. I appreciate my neighbor John O’Brien who has attended almost every work party and has worked many hours on his own, or with me, in addition to the work parties. I appreciate the environmental science students, corporate groups and other volunteers who have supported this project through their enthusiasm and their labor. Want to have your own chance to meet Karuna and to hear more about her time as a Forest Steward with Green Seattle? Then starting in the new year, you should attend one of the upcoming volunteer work parties at Cheasty Blvd. 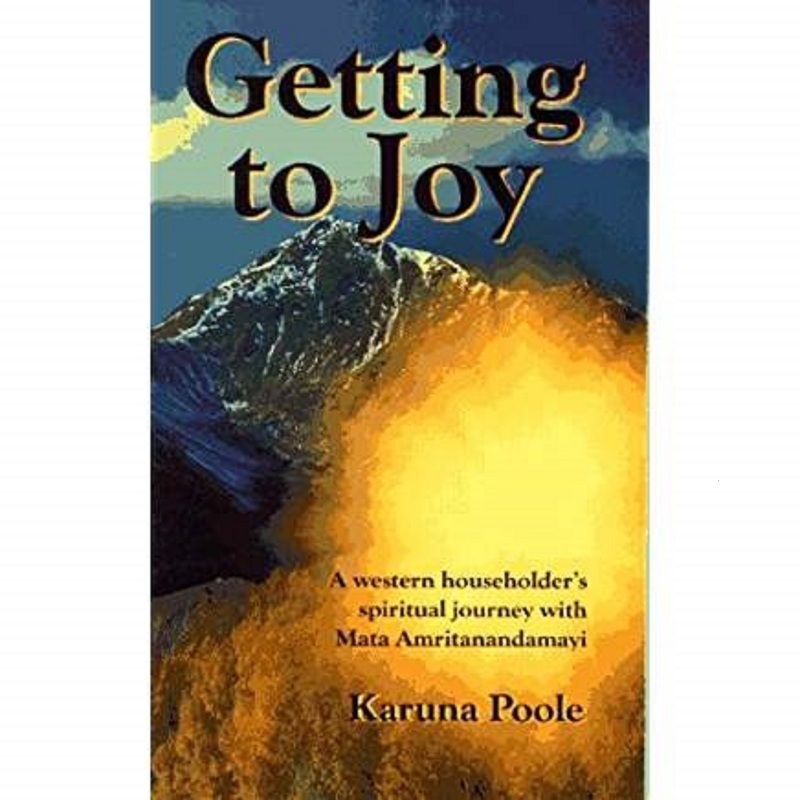 and help Karuna to continue her Forest Steward legacy! Maya was born and raised in the Pacific Northwest, and is thrilled to be part of a team dedicated to protecting the land she has always called home. Maya recently graduated Western Washington University where she studied Biology, Chemistry, and Spanish. 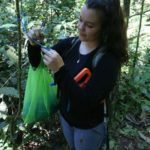 During her time in college, she discovered a passion for conservation and restoration work while studying in the jungles of Costa Rica and Peru. Aside from exploring tropical and temperate forests, Maya enjoys cooking, traveling, skiing, and smiling at dogs. Maya is serving a one year AmeriCorps term with Forterra. In August of 2016, if you had stood on the property that borders the western section of our GreenFriends Greenbelt Restoration Project, you would have seen land covered by blackberry, bindweed and ivy vines. If you viewed the Greenbelt from that same place today, you would see an expanse of cleared land. The invasive plants have been replaced by more than 800 native trees, shrubs and ground covers. While there will always be more work to do on this site… lots more… it also seemed like it was time for us to begin to focus on the adjacent Greenbelt site, the one to the north of the Hanford Stairs. I have been eager to begin that work in earnest for some time. This small group was an ideal way to begin our new focus. The photos below show what the area looked like when we began to work that morning. Three of the participants worked in areas along the Hanford Stairs; one worked towards the top of the stairs, one in the middle and one towards the bottom. I cleaned up an old trash dump that was about 20 feet into the site. When I needed a break from trash, I pulled out ivy in the surrounding area. This work party was interesting for a variety of reasons. It was the first time in years that we were working as individuals instead of leading teams of volunteers. Also, since we were each working in a different area, there was almost no interaction between us. From time to time, it was so quiet that I wondered if everyone had gone home. Soon after having that unlikely thought, I would see or hear the rustling of a branch and know I wasn’t alone. Working in the silence felt very sacred to me. We accomplished so much during that three-hour period. The transformation was remarkable. This land seems very different than our original site. There are fewer blackberry vines and more ivy. There are a lot of sword ferns and Oregon Grape shrubs. It will be interesting to see what other native plants are present when as everything begins to bloom in the Spring. We’ve barely begun to explore this site, but we only need to look beyond the Hanford Stairs to see what our next steps will be. To download the latest PNW GreenFriends newsletter, click on the photo. We believe character is defined through action. With DocuSign IMPACT, we are committed to putting this character into action by harnessing the power of DocuSign’s people, products, and profits to make a difference in the global communities in which our employees and customers live and work. Employees from DocuSign returned for another IMPACT day on April 27, 2018 and they would also be doing our Fall 2018 planting. I love working with them and was eager for their arrival. The big day finally arrived. This time, 22 employees participated. Our staff consisted of Maya from Forterra; Susan, a Forest Steward from another Cheasty Greenspace site; Claire and Shirley from GreenFriends and me. After a brief orientation, we got to work. I think the photographs below say it all! Once again, the DocuSign employees did amazing work and I think everyone had a good time. Rumor has it that they may come back again in April. I sure hope that is the case! I offer my heartfelt thanks to everyone who participated in our planting day and to everyone who helped prepare for it. Each person made a significant and important contribution to returning this stretch of Seattle’s Greenbelt to a healthy forest.